There I was jumping from the top of one tree to another. It wasn’t exactly as if I was flying, because I had to land on the top branch of each tree, but it sure felt like flying. Geese were following me and honking away like they were trying to warn me about something. But when I decided to forget about the tree tops and just fly, I fell hard to the ground thirty feet below and started rolling down the side of a hill while I was hiding my face in a pillow. I kept feeling the feathers from the goose down pillow sticking out and poking my cheeks and the side of my neck. Try as I might, I couldn’t pull that pillow off my face and it got to be stained with the blood coming out of me. But I kept rolling and rolling until I was stopped by something firm but soft. But by the time I finally pulled the pillow away from my face to see what or who had stopped me, I woke up and I never found out. That happens to me in dreams a lot. Wish it didn’t, though. 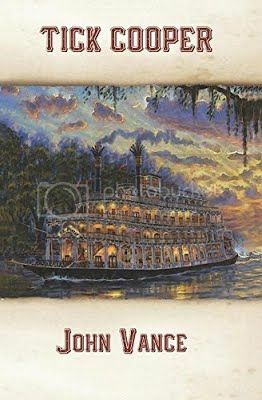 What woke me up was my Uncle Ned telling me it was time to leave our house and get on the train to Cincinnati where we would get aboard the steamboat the St. Paul and head down to New Orleans. I was about to leave on the greatest adventure of my life. I swear by everything I ever owned that it will be the honest truth—even if I had to tell a few lies along the way to get to the meaning of that truth. We would ride some thirty-five miles to Cincinnati, the 2 largest city in the whole state. I’d a been on the train only once before—when the railway first opened, when I was six. But what gets a boy excited when he’s six and what gets him excited at twelve are quite different things—so this time I acted all grown up like I’d ridden the railroad every week. I didn’t jump around and bother Uncle Ned the way I did the first time. Even so, it was still pretty special chugging along in such high style. The man who said that was an elderly gent who looked like he had gotten into many tough scrapes in his life. He had long white hair and side whiskers, but what I grabbed my attention most was his scarred-up face. It looked like someone had dug trenches on his cheeks and above his right eye. And he seemed much bigger and stronger than men as old as he was. He was talking to a boy who looked younger than me—maybe nine or ten. I turned and walked back to my seat, expecting that that white-haired old devil would 3 grab me and try to take my nose off. But he didn’t say or do anything. He just grunted and sat in the seat I guess he always sat in when he rode on that train. 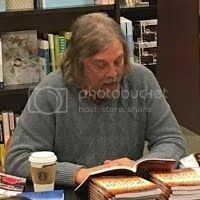 I found out that Ben’s real name was Peter Butler and that he was put on the train by his grandpap so he could take a steamboat from Cincinnati to Pittsburgh, where his mother, father, and baby sister had just settled in a house. I told him I’d look out for him until we reached Cincinnati, where his grandpap’s brother lived and would take him in for the night. We talked about the man with the scars on his face—I mean we talked softly so we wouldn’t wake Uncle Ned or let that old buzzard hear us. I told Peter that some folks believe they really own whatever they use often—cups, chairs, and such–and that it’s easy for someone big to get what they want from someone smaller, who can’t do anything about it. And if that big someone is also real ugly, it’s all the easier. When I told Peter my name, he wanted to know if I was born with it. I told him that when I was born my father named me John Polk Cooper, but those first two names never really suited me much. It was Aunt Clara who first called me “Tick” because when I was a baby I used to burrow into the blanket like a tick into a dog’s back. But the name really stuck when I started running around and hiding in bushes, old dead trees, and holes in the ground. I also like the sound of Tick Cooper better than John Cooper or John Polk Cooper any day of the week. 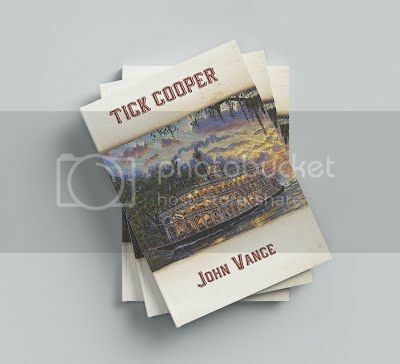 One of my teachers said that Tick Cooper wasn’t as easy to pronounce as John or John Polk Cooper, because the first name ended with a “k” sound and the second name began with the same sound. But she was educated and I guess those things matter to those kinds of folks. Ben said that Polk was a funny name to be stuck with—and it was, but from what Uncle Ned told me I got my middle name because of the then president of the United States, James Polk, who they say kicked the Mexicans out of Texas and took it for the 4 United States. Uncle Ned said that my father thought Polk did the right thing, but from what Uncle Ned also told me, my father once shot a man in the leg who claimed that the twelve feet at the very back of my father’s land rightfully belonged to him. They say the man showed my father the papers, but my father shot him anyways, saying that it was the law that those who live on the land and cultivate it have all right to it. I guess old President Polk never heard of that law when he took Texas. So since I was born on March 3, 1848, I got stuck with a Polk between my first and last names. If I was born three years ago my name would have been John Buchanan Cooper, which was wore then the name I had. As Aunt Clara used to say, “Thank heaven for small favors.” When the train stopped in Cincinnati, we waited until the foul-looking man left the train car before we did. Uncle Ned woke up and finally met Peter, who thanked me for helping him and waited until he saw his grandpap’s brother before getting off the train. I wished he was going to New Orleans instead of Pittsburgh, because I knew I’d never see him again, but my Aunt Clara used to say that the older you get the more often folks would come in and then out of your life—sometimes on the very same day. Aunt Clara. I guess I forgot to say that she was Uncle Ned’s wife and was always like a mother to me, since my own mother died when I wasn’t yet two years old. I’m still very sad that Aunt Clara got real sick and died a few months back. The day before we left Oxford, we went to see her grave at the Old Yard Cemetery. Uncle Ned had been going there every week since she died, but he never made me go with him. I just did it on my own every few weeks or so, but it was more to be with Uncle Ned because I really wanted to go. Not that I’m afraid to visit the graves of all those dead people. I’ve been there after the sun went down with three of my friends and was the very last to run out of there, which won me the wool cap we found snagged on a tree limb the day before. 5 Anyway–at her grave, Uncle Ned told Aunt Clara that he’d be going away for a spell and he’d be thinking of her all the time. He also told her that he’d be taking me with him. She was so good to me—she really was. As soon as we got off the train, we heard a noise on the wooden platform—a kind of “ker-thump” every several second or so, so we looked around and saw a man who looked like he hadn’t shaved his whiskers in a hundred years limping along with a wooden crutch under his arm, which he dragged as he took a step with his good leg. Good leg? I should have said only leg! Uncle Ned reached in his pocket for a coin or two, which he liked to do whenever he saw someone who couldn’t walk or see too well. So I reached in mine and pulled out one of my two new Indian head pennies. My other one was back in my room at home, but I always carried one of them with me for good luck. But when I looked at the coin, I wanted to think that Uncle Ned’s contribution would be enough that the one-legged old soul wouldn’t hold it against me if I jammed my lucky coin back in my pocket. I sure didn’t want to be without luck on my grand adventure to New Orleans. But I didn’t think or act fast enough because the next thing I knew I had put my Indian head penny in the man’s hand. He closed his old fist around it, and I felt like I dropped my hunting rifle down a well. My stomach became as heavy as a cannon ball, and my throat felt as dry as if I had swallowed a campfire. Being charitable isn’t always “its own reward,” as Aunt Clara used to say. The poor man had only limped about ten feet away when two men in fancy clothes, with new top hats and walking sticks came up behind him and started laughing and pointing at his crutch. I guess these were men because they were dressed in all high fancy, but they acted like boys not much older than me. The one in the striped pants took his walking stick and swung it like he was chopping at a low limb and knocked the 6 crutch out from under the old man, who fell to the platform before I could take get close enough to break his fall. Those two dandified gents both burst out laughing as the old man let out one of them painful old man’s screeches, with a whistling sound—probably because he lacked some front teeth. The coins he had gotten from me, Uncle Ned, and some other kindly folks were scattered all over the platform. And then you know what those two popinjays did? They threw down several coins themselves! I couldn’t believe it. I guess they paid for the right to hurt the old man. Or maybe they did it to make sure their consciences wouldn’t bother them none. Uncle Ned told me once that some folks believe they can make up for their being cruel and thoughtless by giving money. And these two gents were nothing compared to what I’d see later on my adventure. But I’m running ahead of myself. When I went over to help up the old man, I saw my Indian head penny about six feet away, picking up the bright sunshine, which made it sparkle. When I got the crutch situated under the old man’s arm, I walked over and picked up the coin. I was afraid someone else would take it and use it to buy something useless. No. Now wait. That’s not all of it. I better come clean or this tale isn’t going to be worth you’re taking the time to read it if I don’t. To tell the honest truth, I picked up the coin mostly because I wanted to think more about his need for it, since four other folks gave the old man more money. I picked up my coin as the lame old man was walking away with the rest of the money that someone had picked up from the platform, along with the new coins just placed in his hand. I knew he wouldn’t miss my Indian head penny—not one bit–and seeing that it and the other penny back home were gifts from my Uncle Ned, I decided to put the penny back in my pocket. For about a second. I caught up with the old man and gave him my good-luck penny for a second time. Maybe I was wrong, but I just felt he needed the good luck 7 much more than I did. Then I heard Uncle Ned calling me, and that was the last I saw of my penny and the old man. But not the last I’d see of those two high-hatted, dandypants scoundrels who knocked the old man down.